For the Aussie readers out there, Bandai Namco Australia (which also represents Square Enix locally) has a real treat lined up in its publishing division through the rest of the year. With a stunning lineup of new releases in some heavy hitting franchises, you’re sure to have something to be playing all summer long. We went hands on with a few of the offerings, here’s some of what you should be looking out for in the next few months! Related reading: Harvard was also able to preview Final Fantasy XV in this session, which is shaping up to be spectacular. This is a game where you can smack your opponent across the sky, teleport behind them and then blast them with a comically large energy ray with the press of a few simple buttons. The Dragon Ball franchise, especially Z, has always been about larger than life fighting with lengthy combos and lots of personality. The roster spans the likes of martial artists, cyborgs, aliens and combinations of those three to form one of the most eclectic lineups in anime, and understand I’m not mincing my words when I say every single character from the anime (original series, Z, GT and the expanded universe movies) is going to be playable. The demo only had a few characters on offer but already it boasted a few characters I hadn’t even heard of. The first Xenoverse released to decent reviews but enormous praise from the core Dragonball Z fandom and the sequel is looking to be more of the same. 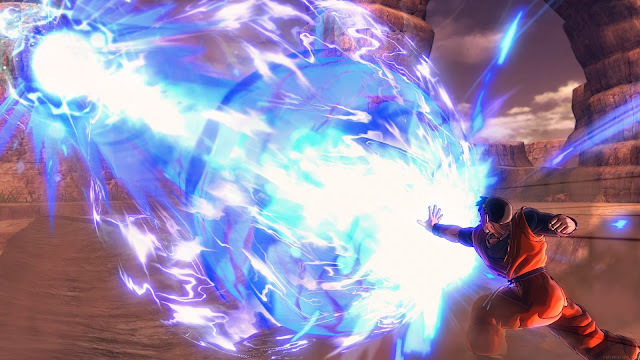 The sheer attention to detail, and the fine tuning of the fighting mechanics to offer the most empowerment to the player will be on show again as the world joins the DBZ universe once again. The fighting is slicker than ever, which is to be expected from the series, so the real test of Xenoverse 2 will be the little extra features players will be able to enjoy, like the create-a-fighter mode from the first title. Related reading: Nick's review of the first Dragon Ball Xenoverse title. For fans of the anime or cinematic fighters however, this will definitely be a game to look out for. Akira Toriyama’s epic sprawling series is filled to the brim of love-to-hate enemies and hate-to-love anti-heroes. If you’ve ever wanted the catharsis of playing as your favourite character and beating the stuffing out of your least favourite character, this is the best way to do it. Dragon Ball Xenoverse 2 releases on October 28. The Sword Art Online games seem to get closer and closer to feeling like a real MMORPG with each iteration. Hollow Realization follows the formula set by Hollow Fragment and Lost Song, chronicling the journeys of Kirito and Asuna through a fictional RPG that they have been dragged into. On first look, Hollow Realisation looks identical to a modern MMORPG like Final Fantasy XIV, from the graphical style, levelled monsters and skill icons. Even playing it feels like an MMO – you can use gestures to get your AI controlled allies to help you out, and each skill use gets added to a message log. I’m all for effective theming, but Hollow Realisation is shaping up to be a video game themed video game. Cynicism aside, Hollow Realisation looks like it would be a fantastic game for those who want the MMO experience without the pitfalls of committing time into a true multiplayer experience. Nothing’s going to change after taking a break for a month or two, and you won’t have any guild members who disappoint you. But best of all, the Sword Art Online franchise as a whole sells the fantasy of being a top player in an MMO and Hollow Realisation is perhaps the best illustration of this. In a real MMO, only the most dedicated players get to feel the power of being the strongest, or the richest, or the one with the most influence. In the Sword Art Online series however, every player is Kirito, one of the strongest players in Alfheim. It’s a bit of a niche fantasy I’ll admit, but I’m sure it’s an exciting prospect for anyone who’s tried to play an MMORPG casually and watched their more committed friends soared past. Series developer, Aquria, is hitting back with perhaps its most ambitious work yet, so for fans of the anime or players looking for an MMO-like experience without the frills of the genre need look no further. 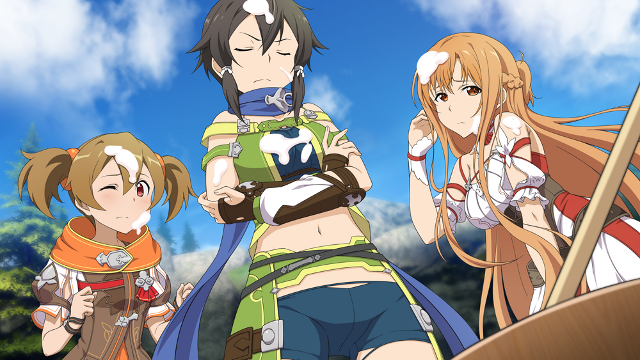 Sword Art Online: Hollow Realisation releases in Q4, 2016. Dragon Quest Builders is like Minecraft set in the Dragon Quest universe. The Akira Toriyama character designs, the slimes and the sense of adventure are married to the cube and crafting gameplay of Mojang’s runaway hit. 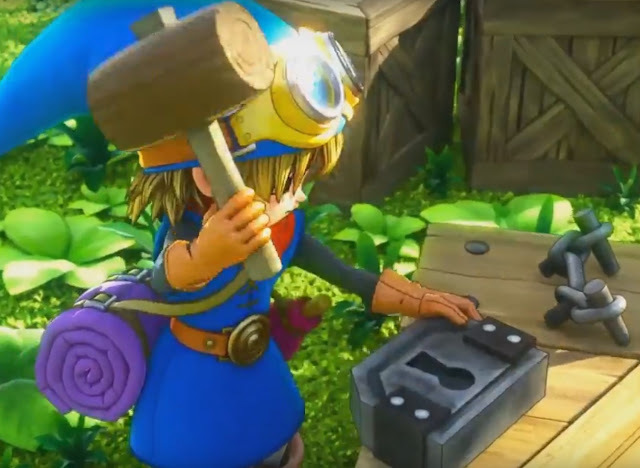 Rather than set the player on a vast adventure, Dragon Quest Builders puts players in the shoes of the last “builder” in the world, with the power to convert raw materials into inventions and artifices. With this ability to build things, you’re tasked with reinvigorating a fallen world which decayed after all its inhabitants forgot how to build. My main concern with this game lies in how linear the opening seemed to be. You start out completing small quests and errands for the survivors in the world, collecting certain ingredients from the landscape and building very specific requests. The game features a blueprint system, where NPC’s will interact with your constructions but only if you make them while strictly adhering to how the game wants you to build it. I felt that for the most part, I felt boxed in by the gameplay and I didn’t get the sense of vast freedom that a Minecraft style game should evoke. Related reading: Dragon Quest Builders was also one of Matt's picks from TGS 2015. Read the full article for the other hits. 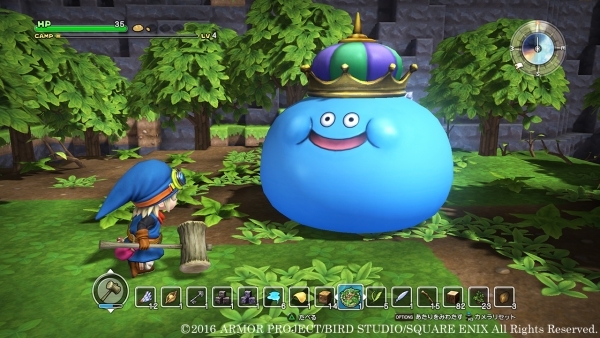 That being said, the Dragon Quest monsters are still adorable and it’s awesome to take a new look at this familiar universe. The gameplay is simple enough to be family friendly, which might make this title a good introduction for younger players to the Dragon Quest series. At the very least, let’s be glad that the West actually getting Dragon Quest titles at all. Dragon Quest Builders releases on October 14, 2016. This might be one of the most interesting premises to come out of the indie community: a 3D puzzle platformer with stealth horror elements reminiscent of the Siren series, focused on the concept of childhood nightmares. The demo conjured a very Tim Burton-esque feeling of simultaneous menace and playfulness which I am sure will be appreciated by kids and adults alike. 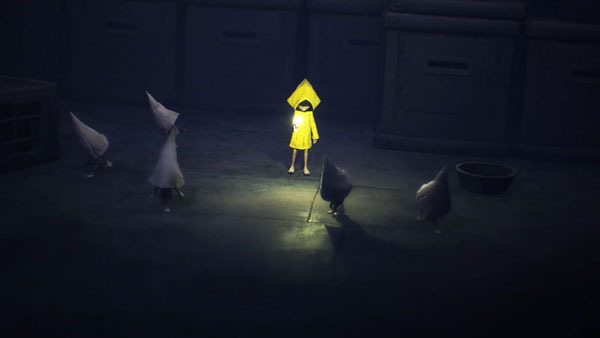 In Little Nightmares you play as Six, a yellow implike creature which must navigate through rooms while evading demons and other enemies to reach safety. The small size of the main character leads to some interesting level design. In an early level for example, you’ll need to drag a box across a room patrolled by an intimidating butcher demon in order to make a platform to reach a vent. The developers are fantastic at using player expectations and risk to create a sense of tension, drawing players into a frightening yet endearing world. Little Nightmares is set to release in early 2017.